In mid 2013 I was diagnosed with advanced melanoma. I had already taken time off work to deal with significant surgery and radiotherapy and was just beginning to think about returning when I was hit with this latest physical and mental challenge. I was dying. I needed to make plans for my family while facing the daunting prospect of no longer being around to share their lives. 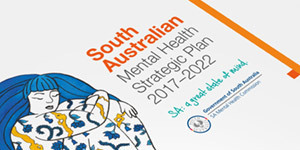 I arranged to be referred to the Southern Adelaide Palliative Care service to set up systems to help my family – mother, husband and most importantly my children aged 4, 9 and 11 deal with the impact of my death. Instead I met an amazing counsellor who provided me with the support I didn’t realise I needed or was entitled to. I was also very lucky, as in October 2013 I was accepted on a clinical trial for a drug which, for me, worked incredibly well. When you are dying it is acceptable to cry and rage – you try to avoid doing it in front of your family as you don’t want to burden them and of course, you want to appear strong. However, you can access support groups, where it’s ok to cry, and counselling and friends are very supportive. It is not so acceptable when you appear to have been miraculously cured. You are expected to be ecstatically happy and ready to take on the world. Instead I was shattered, exhausted and not able to feel any happiness. At the same time, I was returning to work at Business SA. The importance of the workplace in recovering from cancer or other diseases or illnesses can never be overestimated. My work became part of my healing. My manager, HR manager and all the staff were supportive and helped me very gradually improve my confidence, recognising not only the physical but also the psychological impact of my trip to hell and back. While I was unwell my manager had regularly called or texted me to check on how I was. I was invited to all social events and my work email account was left open for me to check in from time to time. When my paid leave ran out I was on leave without pay but always part of the workplace. When I was ready I was encouraged to return to work for as many hours as I felt comfortable doing. I worked for one day a week irregularly impacted by fatigue and I realise looking back, my mental health issues. I was still receiving treatment under a trial, flying to Melbourne once a fortnight and having scans every three months. It has taken me years to learn how to deal with the “scan-xiety”, the mind-numbing fear that builds up prior to your next scan and, for me, the confusing anger that bubbles up after being told the good scan results. I still get cranky after receiving my good scan results, but I know how to deal with the build up, understand what is happening and can deal with it thanks to the help and support I received. For that first year my husband’s work also supported us which meant he was able to attend important doctors’ appointments in Melbourne, as they made sure his Melbourne trips coincided with my scan appointments. The emotional support that gave me was invaluable and enabled my husband to be part of the discussion, keeping his own stress down. I remember being told to tell your story over and over and over… Sally Crossing Cancer Voices. I did not realise it was not for those hearing my story as much as it was for my own healing. It started with a Patients as Teachers presentation to third-year medical students and I was encouraged to share my story at work through our internal staff newsletter. It was difficult sharing with 15 third-year med students, it was terrifying standing before 200 people at a gala dinner and then before several hundred in a packed-out international conference. People have asked “is it difficult digging that up each time?” I have realised that, although every time I prepare to speak I cry at the memory of my journey, I am also given the opportunity each time to look back and realise how far I have come, how the help of my workplace and my speaking roles have helped me to regain my confidence and balance my mental health. Ill health and recovery is a long and tough road, and we need to remember that not only does it impact on our physical selves, but it’s normal to feel the psychological changes as well. Hailing from the NT, Karen van Gorp has lived and grown her family in South Australia over the last 20 years. 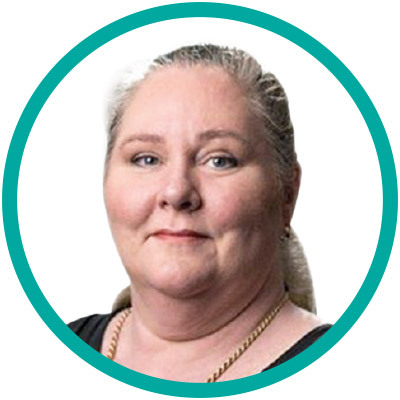 A Senior Policy Advisor at Business SA, Karen’s portfolio includes Human Services Not for Profit organisations, workplace relations, diversity as well as representing Business SA on the Mental Health Commission Wellbeing Steering Group. Her background is in Workplace Relations, mainly with employer organisations in the NT, Queensland and South Australia. Karen, in the past 4 years, has also taken on a SA volunteer Facilitator role which includes running a support group, consumer advocacy and public speaking as well as Board Director roles for two not-for-profit organisations.